All You Must Know About Grey (Musical Group), Who are The Members? Home Musicians All You Must Know About Grey (Musical Group), Who are The Members? Over the years, we have seen quite a number of family members who come together to form musical groups. These groups take different forms such as duos, trios and a couple of times, we have seen an entire family forming a musical group. One of the best of such groups we have ever seen is the Rae Sremmurd brothers and the Jackson 5, which included the late King of Pop, Michael Jackson and his four other brothers. The focus of this article, however, is on a musical group called Grey, which was formed by two brothers, Michael Trewartha and Kyle Trewartha. Grey is a fast-rising musical group which comprises of two brothers named Kyle Trewartha and Michael Trewartha. The group was formed in 2015, in Los Angeles, California. The Grey’s music genre is electronic dance music and it started out as a group that made an unofficial remix to songs originally performed by other musicians. They weren’t popular at the beginning, however, people loved the remix of the songs they did. It even later got the attention of Zedd, one of the musicians whose song they remixed. He liked their cover version of his song and he reposted it on SoundCloud, which helped earn the musical duo thousands of followers. The duo had not long started making music together when a friend of theirs suggested that they send one of their remixed songs to an email address supposedly owned by music producer and DJ, Skrillex. Even though they had huge doubts that the email belonged to Skrillex, the brothers sent a remix they made of Where Are Ü Now by Skrillex and Diplo featuring Justin Bieber. Not long after they sent the song to the email, they received a reply from Skrillex, who was very impressed with the song they sent. He then introduced the brothers to Zedd, and that brought about the beginning of the collaborations between Grey and Zedd. In 2016, Grey released it’s first single, titled Starving, which featured Hailee Steinfield and Zedd. Starving peaked as number 12 on the U.S. Billboard Hot 100 and number 5 on the U.S. Pop Top 100 Chart. The following year, they released two new singles, Adrenaline and I Miss You. The former had Zedd on it and the latter featured alternative pop and electronic musical group, Bahari. Still in 2017, Grey released its debut EP, titled Chameleon. The EP which was released on September 29, 2017, contained 5 songs namely: Chameleon, Crime, Wings, Room 101 and These Roots. The EP also featured artists like Avril Lavigne, Stephen Swartz, Anthony Green, Asia Whiteacre, Skott and Frances. The EP was released under Universal Music Group. 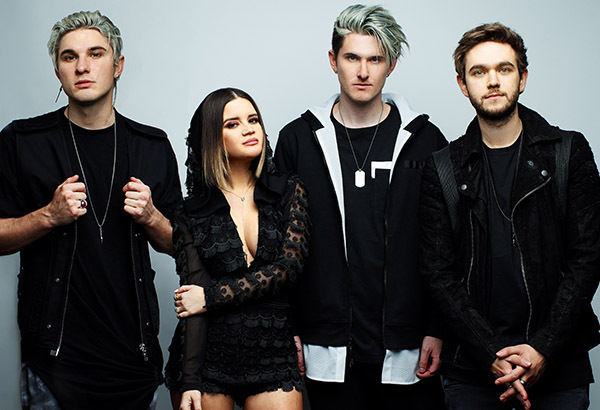 Grey’s collaboration with Zedd continued, and in 2018, they released a single called The Middle, and also featured Maren Morris on the track. The Middle reached its the highest rank on the U.S. Billboard Hot 100 as number 5, and it also ranked number one on the U.S. Pop Top 100.
Who are The Members of Grey? The members of the musical duo, Grey, are Kyle Trewartha and Michael Trewartha. They started their music career like the majority of the upcoming musicians, uploading unofficial versions of songs on SoundCloud, not until one of their remixed songs got to Skrillex and ever since then their music career has taken a huge turn for the better. Kyle makes up one-half of Grey. He is a music composer and producer. Kyle was born in Australia on March 21, 1992. Shortly after he was born, his family moved back to the United States. He grew up in Huntington Beach, California, where he attended Fountain High School. He was a member of his high school’s drumline. Before Grey, Kyle worked as a solo musician and was initially known as Singularity. He later changed his stage name to Kyle Tree. His project as a solo artist never did hit the ground rolling. Michael Trewartha was born on November 13, 1994, in the United States. Like his older brother Kyle, he is also a music composer and producer, and the other half of the EDM duo called Grey. Michael also attended Fountain High School and was also a member of the school’s drumline. Before he and Kyle got their big shot at their music career, Michael used to work at Olive Garden in Laguna Hills, California. Michael has been dating an Instagram model, Ashly Schwan since 2018.